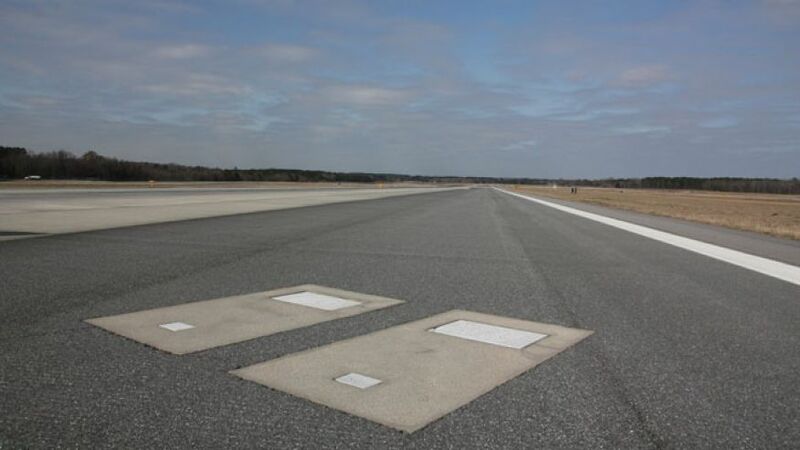 Should you ever find yourself on Runway 10 at this airport you may be surprised to see that there are a pair of grave markers embedded into the runway tarmac! The previous owners used the land that the airport is now sited on as a cemetery and when they died were both buried here. During WW11 the military converted the cemetery into an airport for training maneuvers and moved all of the bodies to another cemetery, however to honor the wishes of the family the grave markers of the owners were left and remain there today. This is one airport where a stopover wouldn’t be too bad. 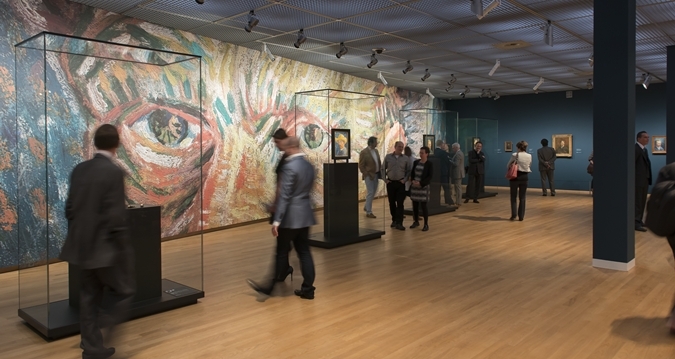 Housing its own museum in one of the terminals which display paintings by famous Dutch artists that change regularly. Passengers can access the museum for free and makes a great way to while away sometime between flights. That is not all though as the airport also offers a meditation center, casino and individual shower rooms an eclectic mix for sure! 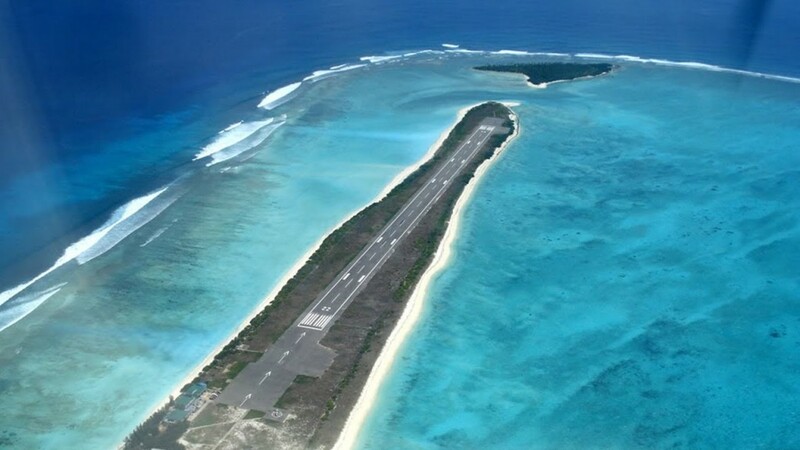 This airport is surrounded by nothing except for the Indian Ocean with the four-thousand-foot length of runway that is so random and petite that it would be understandable if you thought it was a piece of a larger runway that had been engulfed by the sea. 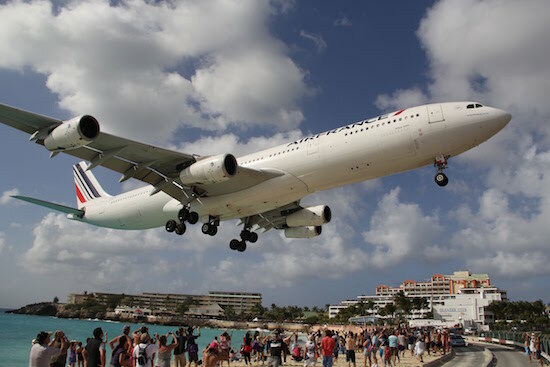 Due to the danger that this runway poses, there are proposals to extend it yet for the time being the flights continue to fly to the island six times a week. 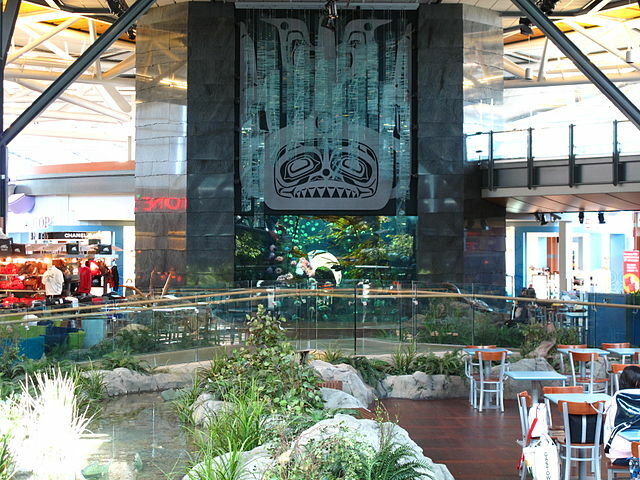 If you find yourself with some time on your hands in this airport why not head over to the international terminal area and see one of the two aquariums that are installed there. The main aquarium is located on level 3 and comprises of a 30,000-gallon tank that is home to over 5,000 creatures. Gisborne Airport is bound to be remembered particularly as it has a railway line that cuts straight across the main runway! The air traffic controllers are not just tasked with looking after the airplane but are also responsible for coordinating take offs and landings with train arrivals! 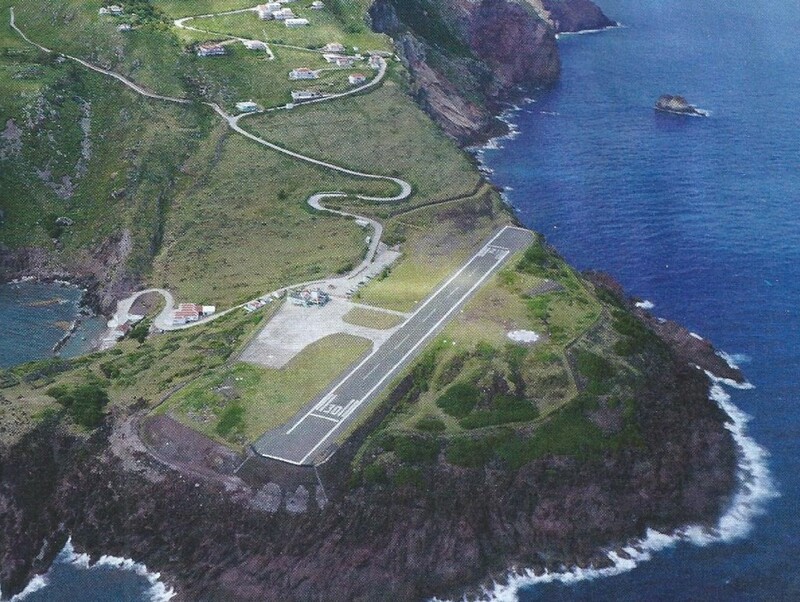 Clearing this runway is no mean feat as it is flanked on either side by cliffs and has the smallest landing strip in the whole world at just 1,300 feet. As the runway is so short it is only smaller planes that can land here but the airport still manages about four flights a day. 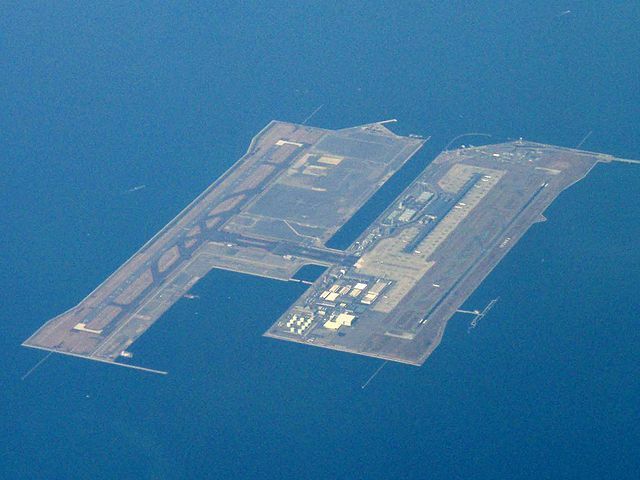 Land is scarce in Japan therefore the airport is approximately 3 miles offshore with work starting on this colossal man made structure in 1987 and by 1994 jumbo jets were touching down. This artificial island is so big that it can be seen from space and engineers had to overcome earthquakes, cyclones, an unstable sea bed and sabotage attacks from protestors whilst working here. According to an aviation consultant with the rising sea levels and climate change the airport is at real risk and could quite easy be consumed by the rising water levels completely in 50 years’ time. 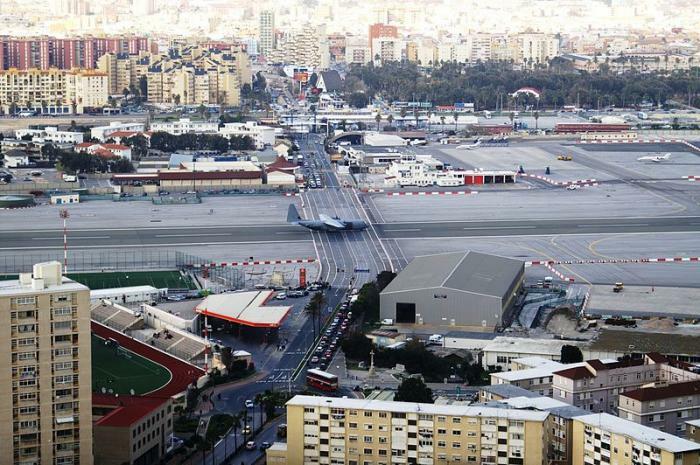 Construction of Gibraltar Airport dates as far back as WW11 and not only does it welcome commercial flights on a daily basis, it is still a base for the United Kingdom’s Royal Air Force. 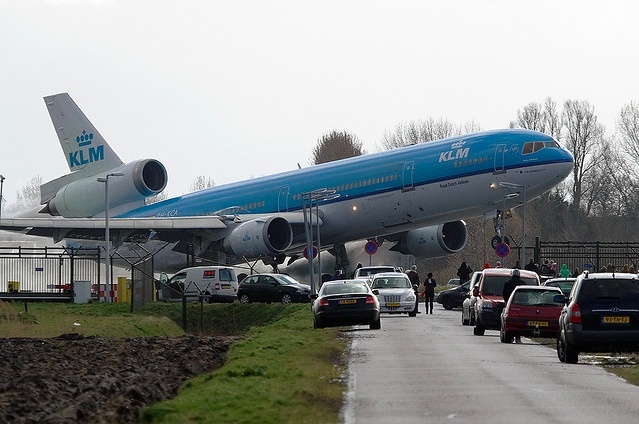 The strangest thing has to be the busiest road, Winston Churchill Avenue which cuts straight through the runway. There are railroad style crossing gates to hold back the cars when a plane is about to depart or land. 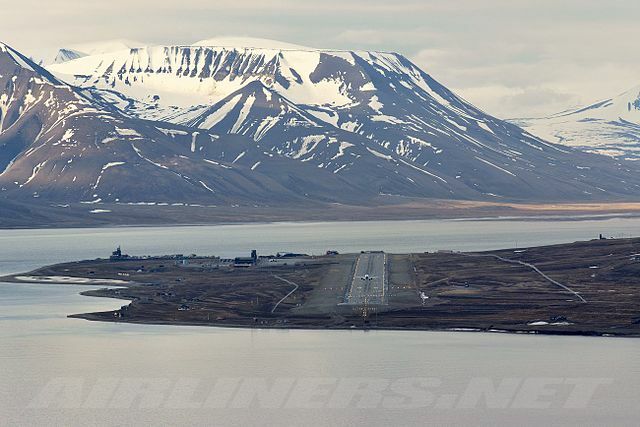 This really is a strange airport that operates as both a road and runway! 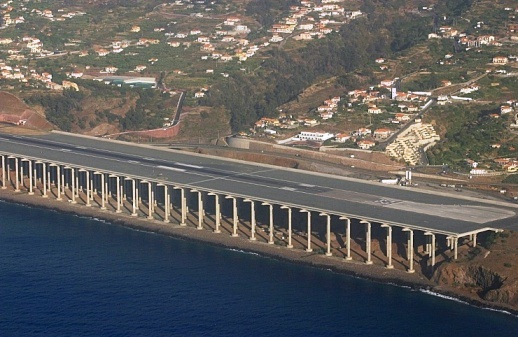 The airport in Portugal is certainly different, having originally offered a 5,000-foot runway it soon became apparent that this was posing a real risk to even the most experienced of pilots, however it was how the runway was extended that was really strange! Engineers extended the runway by 9,000-foot by constructing a massive bridge for the planes to now land on. The Ice Runway at the Don Mueang Airport is just that, an expanse of ice with no paved runways just plenty of snow and ice. 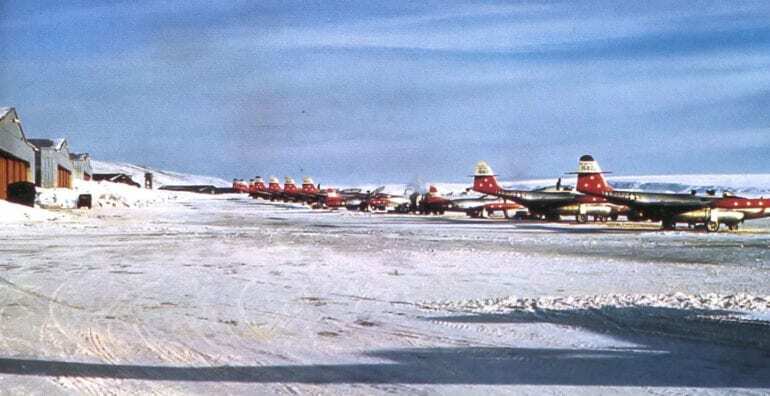 The real challenge for pilots flying into or out of this airport is to ensure that the weight of the aircraft complete with cargo doesn’t burst the ice or stuck in soft snow. Although most major cities have an airport, they are rarely built just minutes from the city center. Whilst the close proximity of the airport is really convenient for the traveller it does put unnecessary additional strain on the pilots and air traffic control and it becomes a real challenge just to get planes in and out safely. 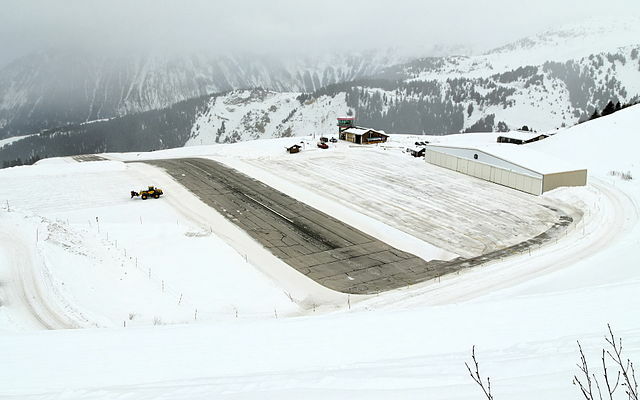 Landing at Courchevel International airport is certainly a hair raising experience as the pilot has to navigate the formidable French Alps and if that is not bad enough they then have to contend with a large hill in the middle of the runway! We hope you brought some warm clothes, it can get quite chilly up there! Landing on this Caribbean island really is a test for the pilots as they have to fly over a small strip of beach, clear a large fence, pass over a road all before finding the runway right on top of them. There are not many airports that are so close to oceanfront properties, and whilst the tourists are at no harm under the incoming aircraft it is a different story for trucks that are coming through on the road when the plane is about to land, as it becomes an obstacle that if light enough could easily be blown over by the aircrafts blast. 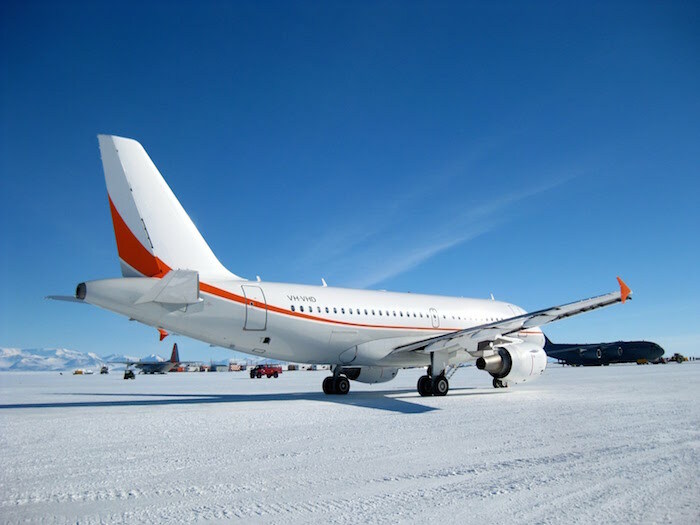 This cluster of small Norwegian islands sits in the Arctic Ocean and although there are three airports, only the most northern one is used for commercial flights. 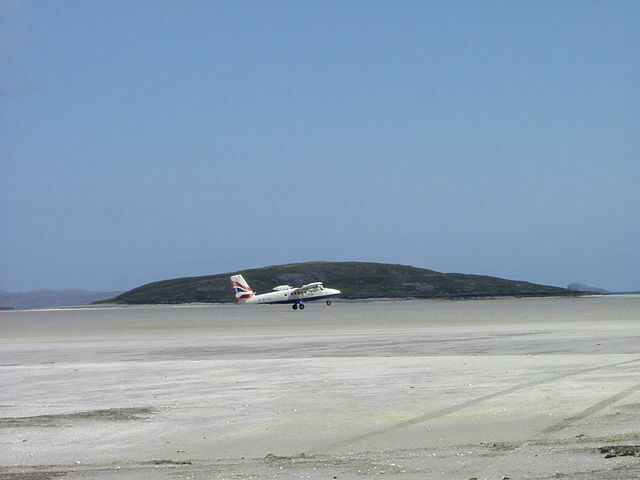 The bitter climate was used by the engineer when constructing the runway which was built on a layer of permafrost and ever since the runway has required constant repaving. Studies have shown that the rising temperatures could wreak further havoc and make maintenance far more of an issue in the future. Planes that are bound for the island of Barra in Scotland have used a beach as a makeshift runway since the 1930s. Despite the lack of runway there is a control tower responsible for handling the income and outgoing flights. There is the issue of the tide coming in as this forces flights to be scheduled around the movement of the ocean! Another major drawback has to be the pieces of sand and salt that eat up the bearing and can jam up the parts of the aeroplane, here’s hoping you are not on that flight then! The original airport Kai Tak in Hong Kong was flanked by high rise buildings and residential areas with a runway that ended in the water. 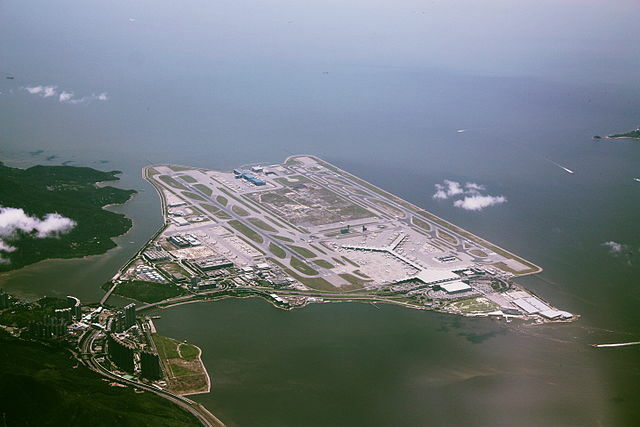 It soon became apparent that a replacement airport was required, and building began in 1991 on a manmade island made by merging two small islands and some reclaimed land. What makes this airport stand out has to be the luxury golf course and expo center that you have to fly up close and personal with prior to landing or taking off. 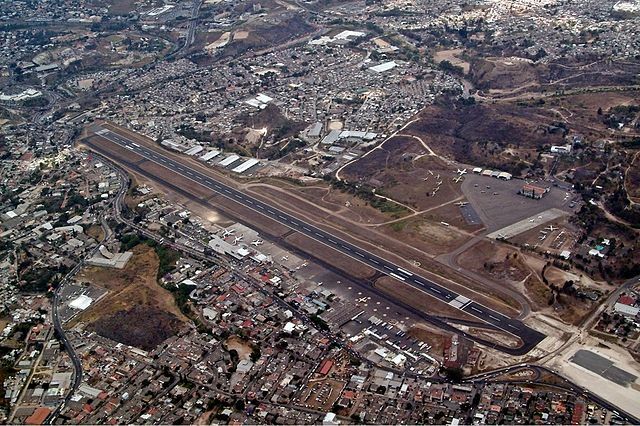 Opened in 1934 the Toncontin International Airport is close to the center of the capital of Honduras and has been the subject of close scrutiny following a number of accidents including a crash that killed five people in 2008. 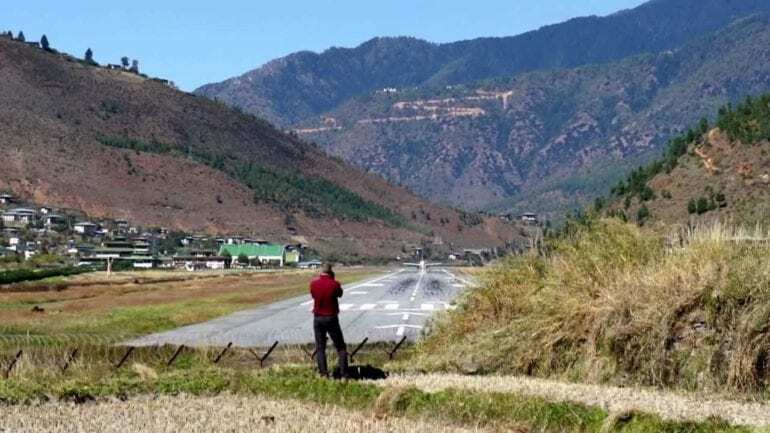 With a runway that is just over 7,000-feet in length and situated in a valley that is surrounded by mountains meaning that there is just one way in and out for the planes, and leading to a hellish experience for most that land there. The Qamdo Bangda Airport in Tibet is the world’s highest airport being sat at more than 14,000-foot above sea level. With a runaway that spans 3.5 miles long and may seem excessive however the long runway is crucial to make safe landings. Due to the high elevation of the airport the approach and take off speeds need a higher ground speed meaning that there is a definite need for more runway! 3.5 miles may be a little excessive but it is better to have too much than not enough! 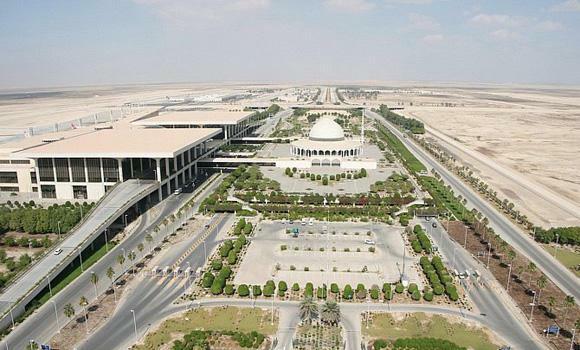 This is the largest airport in the world and sprawls over 300 square miles of desert, and the airport actually being bigger than the neighboring Bahrain. Probably the feature that stands out the most is the mosque that is big enough to cater for thousands, and there is also a Royal Terminal, which is designed to service the Royal family. Although there is very little that is scary about this airport it is rather weird having an airport in and surrounded by sand and sea. Not only is Denver International Airport vast, it is fully loaded with all manner of modern features. 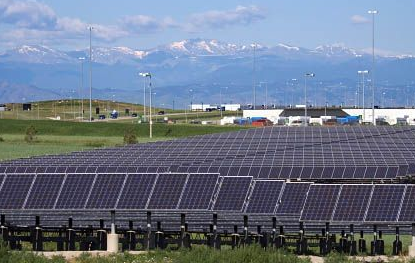 The designers of this airport were obviously planning on trying to make money from the excess land on the airport as they launched a huge green initiative which included a 9,200 panel solar farm, however they may have been right as the solar farm has been proved to produce half of the electricity required by the airport in a year. 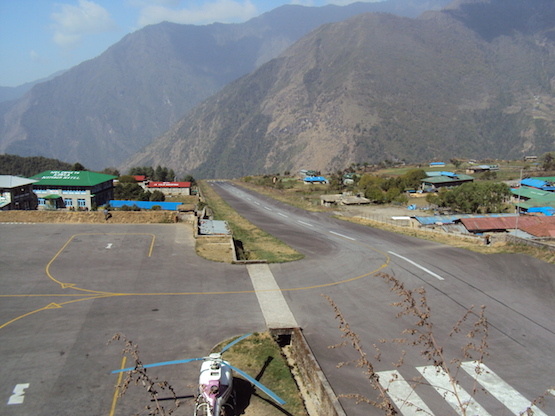 The Tenzing-Hilary Airport is located so close to the base camp of the world’s highest peak (Everest), that it is regarded as the most dangerous airport in the world. There are two reasons for this, firstly is the weather as it is subjected to high winds, cloud cover and rain. Secondly and perhaps more crucial is that it is located so high up in the mountains that there is a real space issue which means that it is not possible for pilots to circle or come in for an aborted landing. Apparently to the end of the northern runway there is also the immediate high terrain whereas the southern end has a steep drop which could quite easily see the plane disappearing on landing. 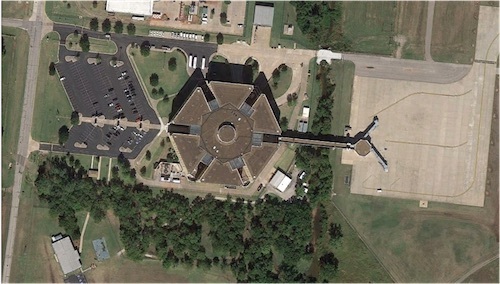 Well if you haven’t quite had you’re fill of weird how about the Federal Transfer Center in Oklahoma which is actually a facility which is used to hold inmates and facilitate their transfer between federal prisons. Ok, that may not sound too bad, but when you consider that it is next door to the Will Rogers World Airport and when you land there you have to pull right up to the two built in gates that connect straight to the prison itself. You best hope there are no escapees when you land there. 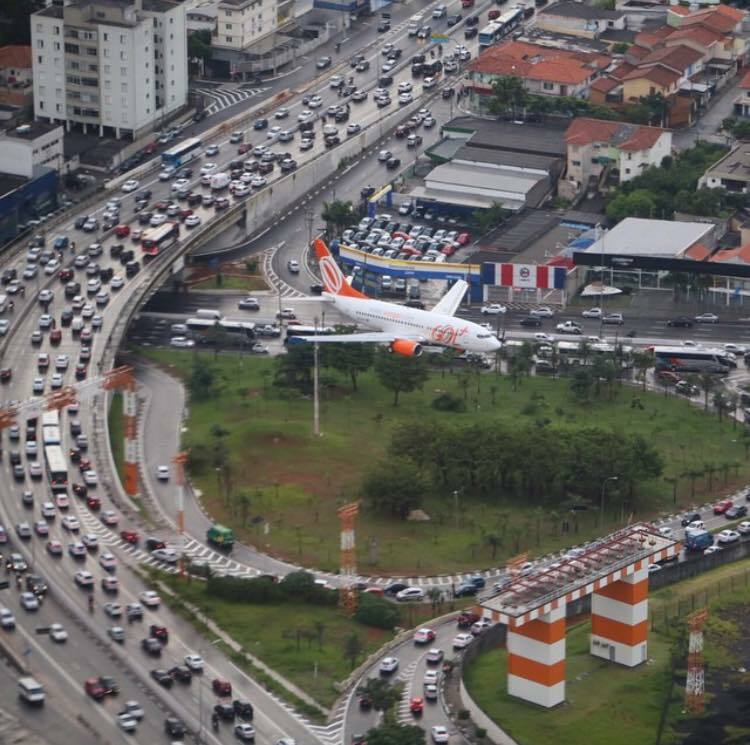 This airport is so tricky to land in that only around 20 pilots are qualified to do so. 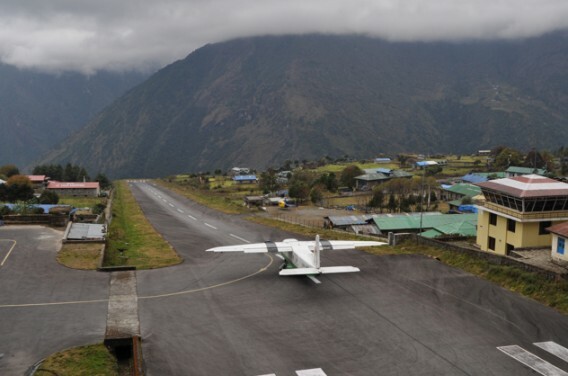 Paro sits surrounded by the extremely high Himalayan Mountains, with a very short runway for planes to land on and stop at. Larger planes have an especially difficult time landing due to their size. The track is only 1,981 meters long, and ends with the bank of the river Paro Chu. Landing here is restricted to daylight hours and weather conditions stipulating that it is clear enough to land. Greenland, much like Antarctica, is almost always covered in ice as the temperature in southern Greenland is not much warmer than the polar continent. The runway is only 1,800 meters long, and the weather conditions are severe for landing even on the most calm of days. 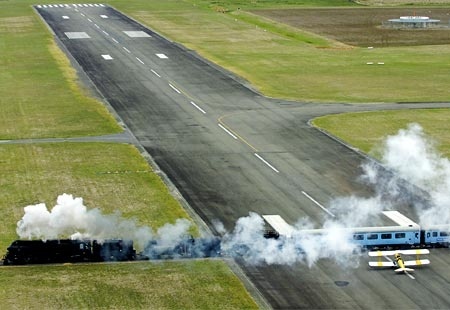 What makes this spot so dangerous to land in is also the location of the Eyjafjallajökull Volcano, as with its eruption the ash can stall even the largest of airplanes engines.